It’s been a while since I took the time to go out and just shoot photos because I wanted to do so. Today’s not the most inspirational of days for one’s artistic desires, but there’s always something to photograph in my town. With a little extra spare time, I grabbed my cameras, dusted them off, and headed out. Part of a challenge to take six photos in specific categories was the only plan at the start of the day. The challenge included editing in Adobe Photoshop. I have not actively used Photoshop in years, having moved to The GIMP for my digital imaging needs or Photoshop Lightroom when I went photog pro almost ten years ago. From what the challenge looked like, they did not want Lightroom used, and this exercise reminded me why I moved to Lightroom to speed up my workflow. That said, Photoshop is amazing and I love it. With the way Adobe Creative Cloud now works, you get Lightroom without any additional cost, so I would recommend that if you’ve already paid for Creative Cloud, you typically opt to use Lightroom. I typically shoot in Master Mode on my camera. (AKA Manual Mode or “M” on the dial.) I use the Canon Rebel line of DSLRs because they have all the functionality of the larger cameras with a body that fits my tiny and arthritic hands. I did not use my long lens today, opting to use a combination of my 50 Prime and my kit lens depending on the photo in question. The first photo we needed to take was outside. I love the Fredericksburg United Methodist Church. It makes for lovely photos, it’s 200 years old, and there’s a cannonball in the side of the building. 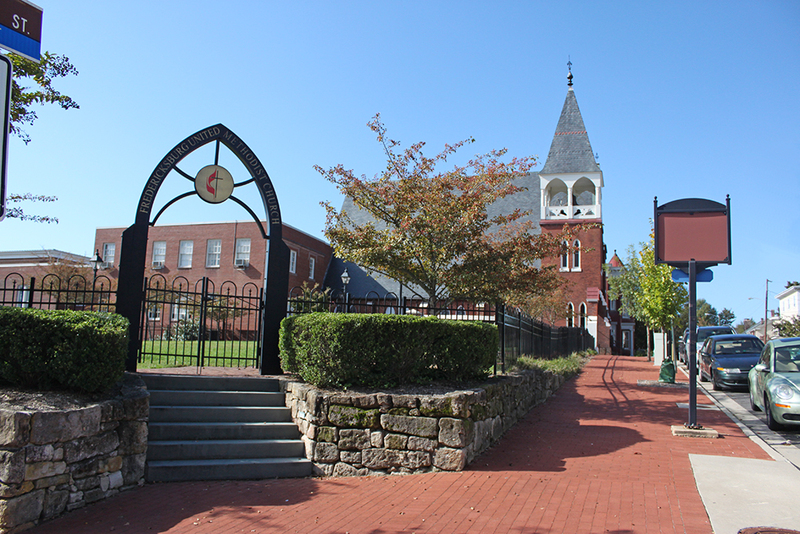 I wanted to get the gate to the gardens as well as the steeple because I love the stonework of the retaining wall as well as the ironwork of the fencing and gate. Meanwhile, with the cars parked on the street, I feel like it’s easy to imagine the carriages that used to line up for Sunday services. For my inside light picture, I went to Goolrick’s Pharmacy. 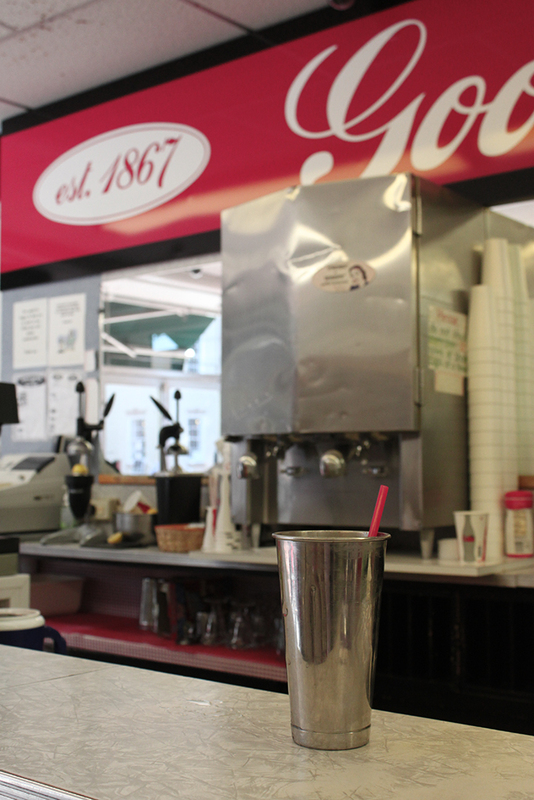 Founded in 1867, this classic drugstore boasts the oldest/longest running soda fountain in the nation. I, however, chose one of their delicious malts. Drinking it, I thought of the Lovings who would frequent the restaurant, the famous couple that helped to establish marriage equality laws. I placed my malt in the bottom third of the screen where it was under the nozzle of the machine, simply because i thought that it looked good. I knew going in that I wanted to feature the established sign as well as the bar. Finding these old drug stores is harder and harder each year. 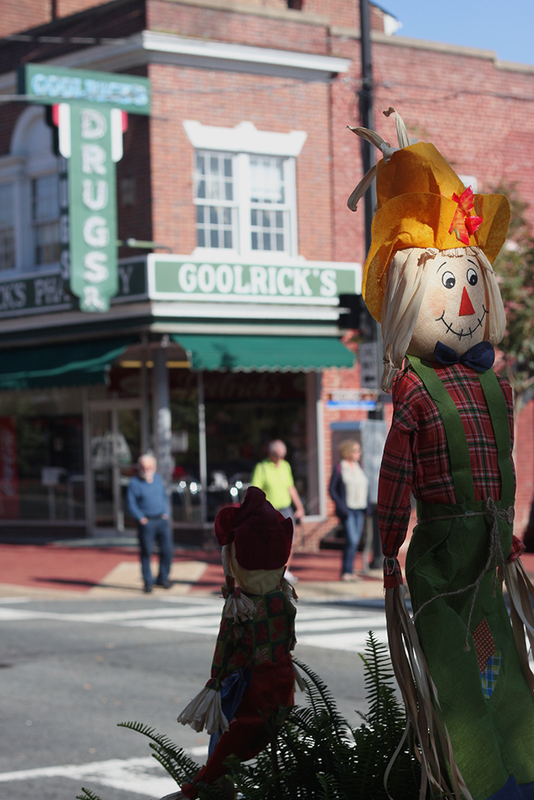 To feature something in the foreground, I used my 50 prime lens to capture this darling scarecrow standing across from Goolrick’s. Fredericksburg is decked out for the harvest, and I’m liking the decor! I like that where I stood I could capture him on the right third of the picture while the similarly vertical sign is in the left third and that the sunlight shines on Mr. Scarecrow’s face, illuminating him. 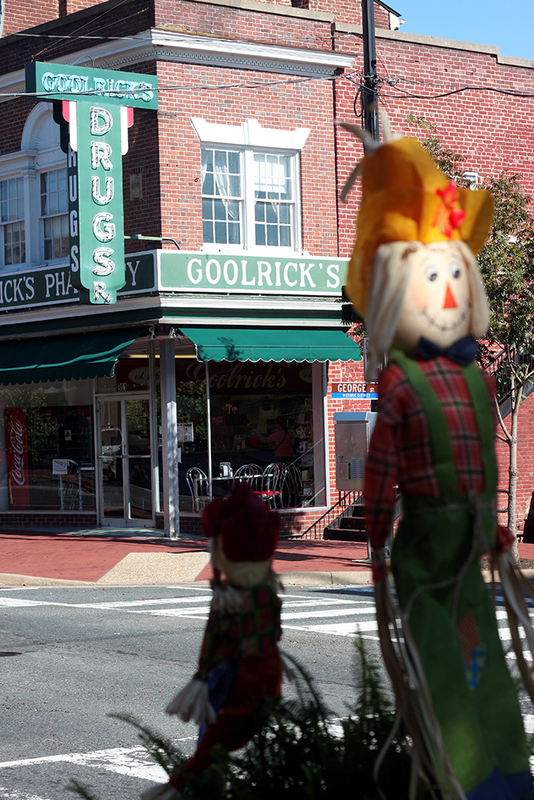 Using the same lens, I took the same picture featuring the Goolrick’s sign instead. This photo needed the brick to be freshened up a bit, so I used the selective color tool to tweak the red. I actually love to come here at night so I can see their sign lit up. I can’t believe I took another photo like this. 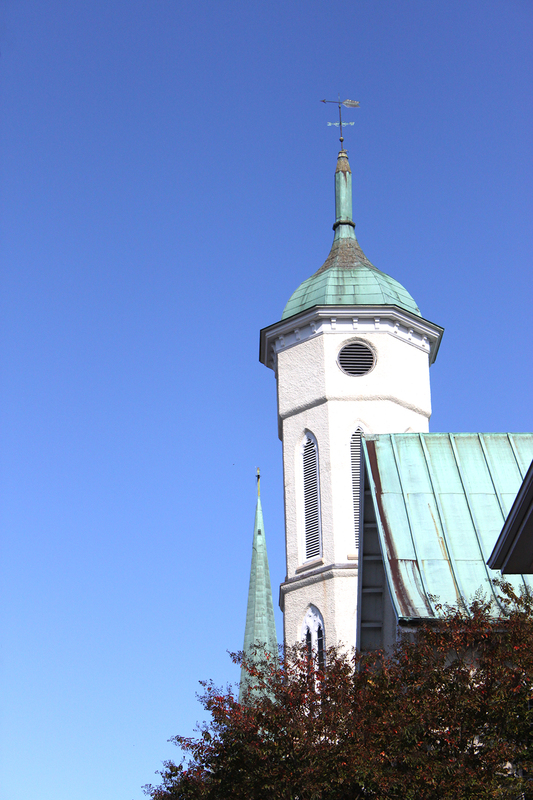 I think that every time I go into downtown Fredericksburg, I snap a photo of these steeples. Always featured utilizing the rule of thirds, mostly because that allows me to get multiple steeples. Honestly, I liked the deep red of the tree and I didn’t feel like digging for similar photos. One I’ve taken previously hangs in my house. Can you tell how much I love this shot? So what gives? I went to photograph the cannon in front of the fire department and it was GONE! Who would do such a thing? I get pretty possessive over my cannons and now I’m upset. 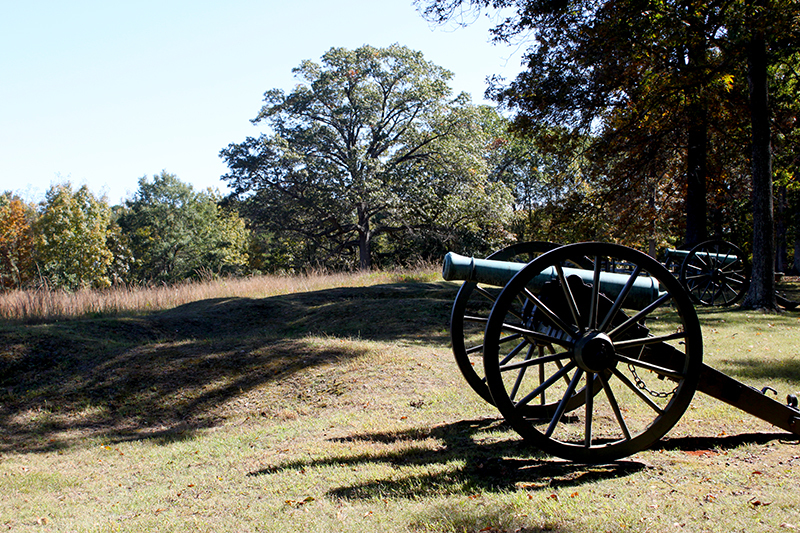 I headed out to the nearby Fredericksburg Battlefield instead, knowing that those cannons would be A-OK. There’s no landscape photography session turned blog entry done in Fredericksburg by me without a cannon photo. I’m from Virginia – I like cannons. This utilizes the “Lead In” principle, which is fairly similar to the Rule of Thirds. If I were to use this in a design, whatever I added to the photo would be in the upper left where the cannon is clearly pointing to. The weather is turning and the grass looked a little bleak so I used the vibrance/saturation tool to liven it up a little. Out on a little photo adventure and I had to take a #selfie with a #cannon because I'm a #Virginia girl! It was good to get out and use my cameras again. I miss taking photos. My passion trends more towards events and people, but this was fun as well. I debated waiting until night to go graveyard photogging since it’s October, but I resisted the urge. I love Goolrick’s. I went in and got a malt. It’s like stepping into yesteryear. When I think about who all has likely sipped a malt or chocolate Coke at that counter… Wow.